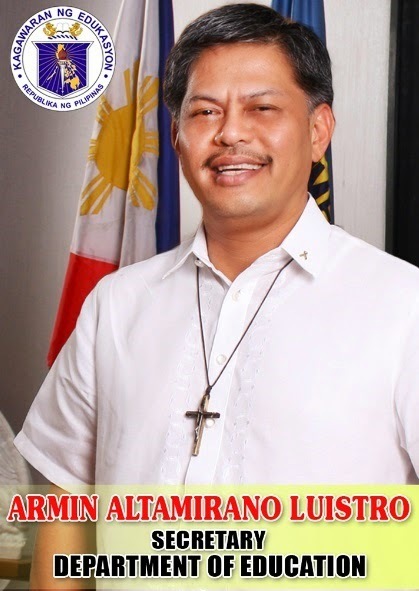 Manila, Philippines - The Secretary of Department of Education (DepEd) Armin A. Luistro has released his message for the graduating students this March 27 and 28, 2014. The message which is available in English and Filipino was published on the official website of DepEd and now available for download. 2014 Graduation rites is focused on the theme “Hindi Natitinag ang Pusong Pilipino,” to pay homage to the resilience of the Filipino spirit and its triumphs over the recent string of calamities it conquered over the school year. Mabuhay ang lahing Pilipino! Mabuhay kayong lahat!" DepEd also informed all private and public elementary and secondary schools nationwide to strictly comply with the requirements for graduation. Non-academic activities such as attendance to field trips and JS Promenade should not be imposed as a prerequisite to graduation. In line with this, DepEd also reiterates that while Parents and Teachers Associations (PTAs) may opt to give cash or in-kind donations, public school personnel are not allowed to collect any graduation fees or any kind of contribution to any student at any grade or year level.